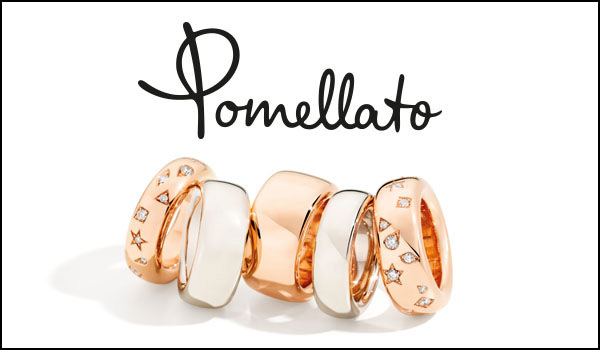 Synonymous with creativity and character in the international jewellery scenario, Pomellato was born in 1967, spawned by the intuition of its founder, Pino Rabolini. The descendant of a long line of goldsmiths, Rabolini introduced the prêt-à-porter concept into the world of jewellery, giving the brand a strong and distinctive identity, thanks to which Pomellato rapidly gained ground on the Italian market and in the rest of the world, becoming the 4th jewellery brand in Europe and one of the key players in the international jewellery scenario. The company's success is based on the personality and unmistakeable style of its creations – unique in their blend of colours, stones and extraordinary shapes, and in their fine craftsmanship.